Judith Jamison discusses Alvin Ailey American Dance Theater’s engagement at Atlanta’s Fox Theatre during the 60th anniversary, including the world premiere of Rennie Harris’ Lazarus. 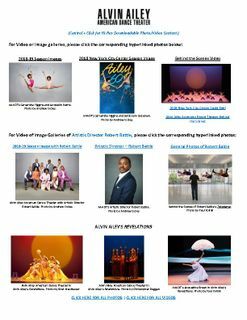 Judith Jamison sits down with Sister Circle hosts Rashan Ali and Syleena Johnson to discuss Alvin Ailey American Dance Theater’s upcoming engagement at the Fox Theatre in Atlanta during the company’s 60th anniversary. In this interview on "City Lights with Lois Reitzes" artistic director emerita Judith Jamison speaks about the company's 60 year legacy of transforming the ways that we express and understand ourselves and our culture through dance. Artists, Activists, Policymakers - and a President - weigh in on how to live a fearless life in the Trump era. 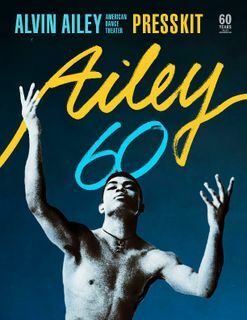 The Alvin Ailey American Dance Theater celebrates 60 years of achievement of the pioneering legacy of Alvin Ailey that began as a one night engagement that evolved beyond limits to a new era in the arts, naming him "one of the groundbreaking greats in modern dance history." Judith Jamison, Artistic Director Emeritus joins us to discuss her life and work with Ailey... past, present and future.